No occasion is complete without gifts. 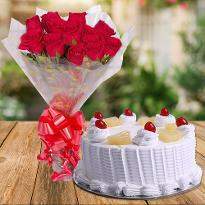 Since gifts are the vital part of occasions and these gift items becomes even more special when valentine day is around the corner. 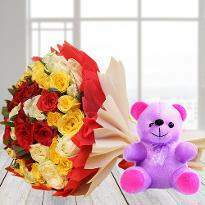 With Winni, you can order Valentine's Day Gifts Online in Faridabad and send to win the heart of your partner. Midnight Valentine's day gift delivery is also available. 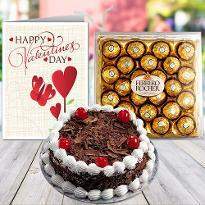 Valentine’s day gifts to Faridabad are a delight at Winni. Winni usher in valentine’s day with a bang. 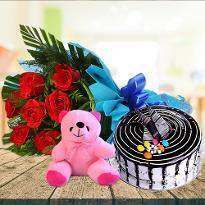 These gifts consist of flowers, roses, exotic chocolates, tasty cakes, teddy bear and gifts for Her/Him. 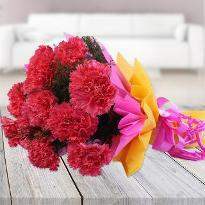 Valentine’s day roses are a classic expression of human love. 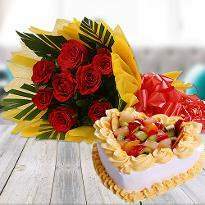 Indulge your special one with a gift of roses of the deepest red hues. 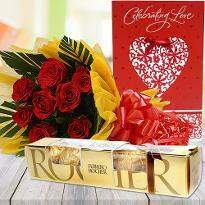 Valentine's roses are of the very best quality and are sourced from around the globe. The heart-shaped arrangements of Valentine's roses never fail to thrill. When accented with exotic chocolates they are even more desirable. 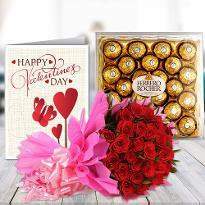 Valentine flowers are available in varied forms: roses, bunches, baskets, bouquets, valentine eve and midnight specials make up this category. 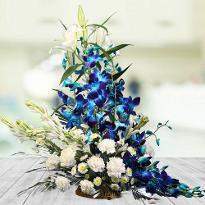 The heart-shaped flowers are a show stopper. 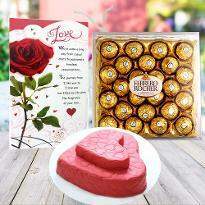 Stagger your special one with this heartfelt gift that reflects your sentiments. 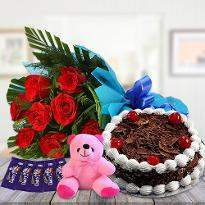 A swift and efficient delivery system ensures an accurate delivery on every special occasion, making your valentine's day a resounding success that you will always remember. 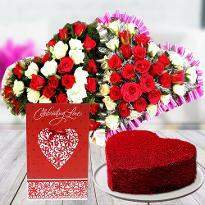 This year on valentine’s day, surprise your special one by sending amazing Valentine’s day gifts to Faridabad. 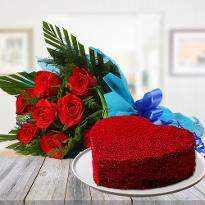 When the love is in the air, an expression of love makes a tremendous difference in the lives of people. 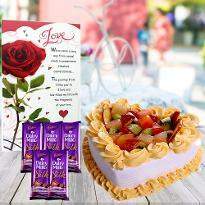 If you want to express your appreciation for your special one in Faridabad, browse our online website and send a romantic Valentine’s day gift. 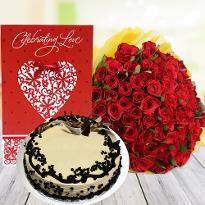 A passionate Valentine’s day gifts will help you express yourself in the best possible way. 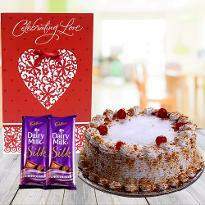 Place your order now to send Valentine’s day gifts to Faridabad. 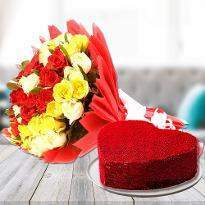 Valentine’s day is a day of love for the couple. So a day of the bundle of energy is the valentine’s day for each special couple. 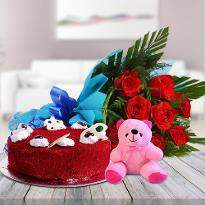 So here we offer you this particular scope of online Valentine’s day gifts which will help you surprise your Faridabad residing cherished one inside a matter of few ticks. It is the simplicity for everybody to pass on their warm wishes a token of affection to the cherished living far in Faridabad. 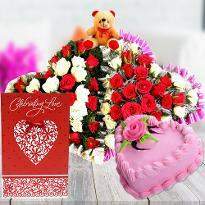 Valentine’s day gifts to Faridabad brings to the table varieties of fantastic and heart winning Valentine’s day gifts online, you get of choices like heart shape chocolates, heart shape flowers bouquet perfume, valentine gift hamper, soft toys, jewelry, beauty care products, clutches, scarfs, grooming kits for Him, makeup kit for Her and a great deal more. 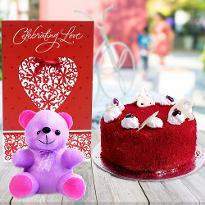 So why hold up when such a variety of astounding and heart winning Valentine’s day gifts ideas are accessible online to purchase in a matter of few ticks. 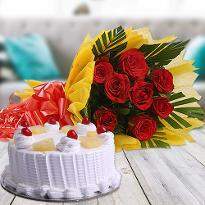 Rush to locate the best token of love for your special one. 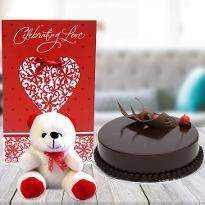 To send Valentine’s day gift to Faridabad, you merely need to make sense of the best token of adoration for Her/Him and put in your request to purchase. 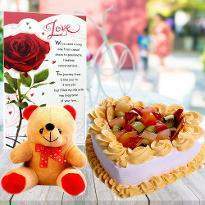 It can be anyplace in Faridabad where you can send Valentine’s day gifts to your special one. 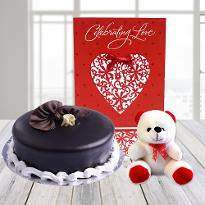 Winni provides same Valentine’s day gifts delivery, midnight Valentine’s day gifts delivery as well. 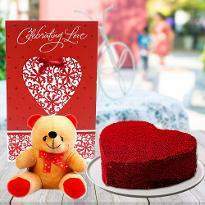 So now is the ideal time not to squander, instead to pass on adoration to beloved with valentine's day gifts delivery in Faridabad.